After Hurricane Irma devastated the island of St. Barth last year, Magellan Jets and St. Barth Properties have partnered up to help the island bounce back. Magellan Jets will serve as the preferred private jet provider to the island as travel to St. Barth picks up approaching the holiday season and beyond. Celebrating their 10th year in business in 2018, Magellan Jets has regularly flown to St. Barth, so the partnership with the team of villa specialists at St. Barth Properties was an ideal fit, the airline said. The college tour is something of a tradition for American families. Parents drive their teenagers from campus to campus hoping to find the ideal academic institution. But for the ultra-rich, there is an alternative to spending hours on the American highways – albeit at an eye-watering price. 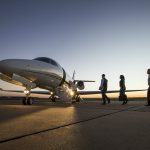 Companies are now offering luxury college tours by private jet with clients being flown around the country, in some cases accompanied by a dedicated admissions counsellor. 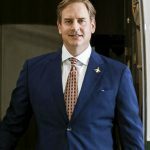 BOSTON, MA – September 27, 2018 — The Air Charter Safety Foundation (ACSF) recently announced Joshua Hebert, Founder and CEO of Magellan Jets, as the new ACSF Vice-Chairman. For years the ACSF has served as the only non-commercial resource to the business, charter and fractional ownership industry. 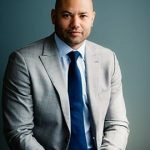 Joshua Hebert joins a board of directors comprised of industry thought leaders and influencers at the ACSF with a common vision of continuously improving the levels of safety and security for everyone. The goal is to continue to set the bar for a single, elevated, and uncompromising level of safety that every operator should aspire to attain and every passenger and crew-member should come to expect. 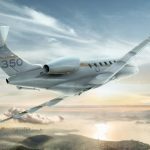 Magellan Jets has been ranked 3,737th in the 37th annual list of the Inc. 5000. a ranking of the most successful companies within the American economy’s most dynamic segment – its independent small businesses. This is the sixth time Magellan Jets has made the list. Not only does this put it in the Inc. Hall of Fame, but it places it in a group of only 193 companies from the 5,000 companies on the 2018 list that have ever achieved this. It’s hard to imagine, looking back 10 years ago from today, that the US was on the horizon of the worst economic crisis since the Great Depression. To say that the past decade in the private aviation market has been a roller-coaster ride is an immense understatement. 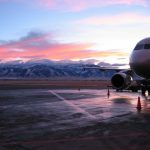 The aftermath of the downturn has resulted in a variety of changes for aviation companies, including shifts in business models, businesses shutting their doors and overall consolidation. Additionally, we can’t forget today’s most popular buzzword in private travel: Uberization. Just a decade ago, Joshua Hebert established Magellan Jets with the aim of changing the private travel experience through a purely private, personalized customer approach and unwavering commitment to safety. Hebert began his career in investment banking on Wall Street at Shearson Ledman Brothers, moving on to Sand Brothers and then Paine Weber (today UBS). He subsequently transitioned to advertising, leading the marketing team at America City Business Journals. Summer is approaching and for some of us, that means college hunting season is here. Those considering university in the US may already be planning their trips to catch as many universities as possible. From long drives across barren highways to campus tours under the hot sun, wouldn’t it be nice if there was a stress-free way to do all this? Enter Boston-based air charter service, Magellan Jets, and their 10-hour jet card for college tours. As their website states, now you can see “UCLA, Duke, Yale… All in one weekend”. Starting at just US$57,000, you can now literally fly through your college tours. Magellan Jets is celebrating their 10-year anniversary in 2018 after a historic decade of unprecedented success. Founded in July 2008 by longtime friends Joshua Hebert, Anthony Tivnan and Gregory Belezerian, the Massachusetts natives set out to change the private travel experience through a purely private, personalized customer approach and an unwavering commitment to safety. BOSTON, MA – March 14, 2018 – Magellan Jets is celebrating their 10 year anniversary in 2018 after a historic decade of unprecedented success. Founded in July 2008 by longtime friends Joshua Hebert, Anthony Tivnan and Gregory Belezerian, the Massachusetts natives set out to change the private travel experience through a purely private, personalized customer approach and an unwavering commitment to safety. The new year initiates a barren stretch of winter when to escape the monotonous gloom, our heads float to the clouds — or above them — soaring away in a jet to a beach somewhere warm. In luxury. 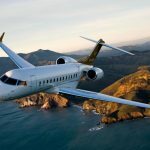 For the bona fide jet-setters, charter flight companies such as Boston-based Magellan Jets have made the plane-procuring process as easy as pie — in the sky. Still, there’s confusion among those looking to book a holiday in the sun and sand. The steel drums of the Caribbean may be calling, but vacationers remain reticent to commit. I’m a Gen-Xer who has raised millennials alongside my peers, and I understand how they’re different and where some of the departures come from. I was taught early on that hard work meant long hours to create opportunities. Millennials, though, take the task at hand and find the smartest route to get the job done most efficiently instead, saving what they value most: time. I’ve heard so much about how millennials should be managed. It’s an important topic, as the majority of our employees fall into that demographic. But making them feel a part of the company isn’t about “managing through” their perceived weaknesses. It’s about understanding their strengths and creating an environment they can thrive in. If Tom Brady & Co. do their part, Patriots fans can soar in style with up to 12 friends to Minnesota for Super Bowl LII thanks to Magellan Jets’ Super Bowl package ($66,750 for 6-7 people; $157,425 for 1o-13 people). Not only does the Quincy-headquartered company provide transportation to and from the game, but there’s also tailgate-in-the-sky service complete with your game-day favorites and decorated in the style of your preferred team—so lots of Flying Elvis, obviously. This year, passengers can also enjoy Triple Eight Distillery’s Notch 15-year whiskey (only available on-site at the Nantucket distillery) during the Super Bowl flights. Forget flying coach. Gift the millionaire in your life the chance to summon a private jet on-demand with Magellan Jets’ 15 Hour card. The card guarantees access to a plane with on as little as eight hours notice and comes with a Frette robe, Revo aviator sunglasses, and a Montblanc Summit smartwatch. Magellan Jets, a private aviation provider that offers jet-specific memberships and on-demand charter services is gearing up for their busiest time of the year – peak travel season is already in full swing and many customers are asking if their favorite Caribbean destinations are welcoming travelers this winter out of Hamptons airports. 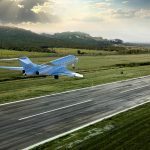 These are the top seven destinations that are running after hurricane season that Magellan Jets are flying to; Anguilla, Bahamas, Bermuda, Dominican Republic, St. Kitts, Turks & Caicos and The Cayman Islands. 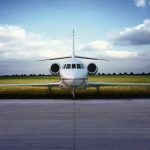 The new Corporate Membership Program from Magellan Jets promises to please one particular member of a company’s C-suite, even if he or she doesn’t take a single flight aboard a business jet provided through the program. 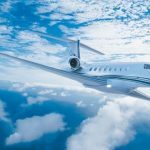 “This is a CFO’s dream aviation solution,” says Anthony Tivnan, the president of Magellan Jets, a membership and on-demand charter company based just outside Boston. Anthony Tivnan, President and Co-Owner of Magellan Jets, was solidified as a major player in the world of private aviation long before the company’s launch in 2008. In 2002, a novice to the aviation industry, Anthony made his mark at Jets International. As a member of the sales team, he was quick to become a leader and mentor. After years of leadership and record-breaking sales history, Anthony was eventually appointed as the Executive Vice President. He also managed their retail sales department and sales teams in both Massachusetts and New York City. 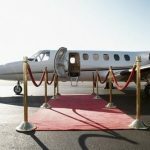 Private jet cards sellers say their programs are the closest you can get to the experience of owning your own jet or a fractional share of a private aircraft without the commitments of doing so. The rationale is since each card program has its own sourcing standards and policies, you get a more consistent experience than on-demand charter. Brokers will tell you that you pay more for jet cards, although in my research I haven’t found that to necessarily be true. Of course, there is nothing to stop jet card members from shopping specific trips with brokers and getting the best of both worlds. Perhaps that’s why the number of companies selling jet cards keeps multiplying, with over 30 by my count, more than half launched in the past decade. Promotionally minded Magellan Jets is rolling out a number of promotions valid now through December 31, 2017. The jet card broker also says it has enhanced its Bespoke Individual Membership feature on its website enabling users to “create” their own jet card. 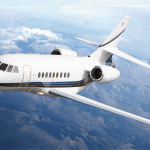 Magellan recently introduced a new corporate jet card program targeting businesses that need over 100 hours per year in charters. That initiative was first reported here by Private Jet Card Comparisons. All Magellan jet card products have guaranteed availability and rates.